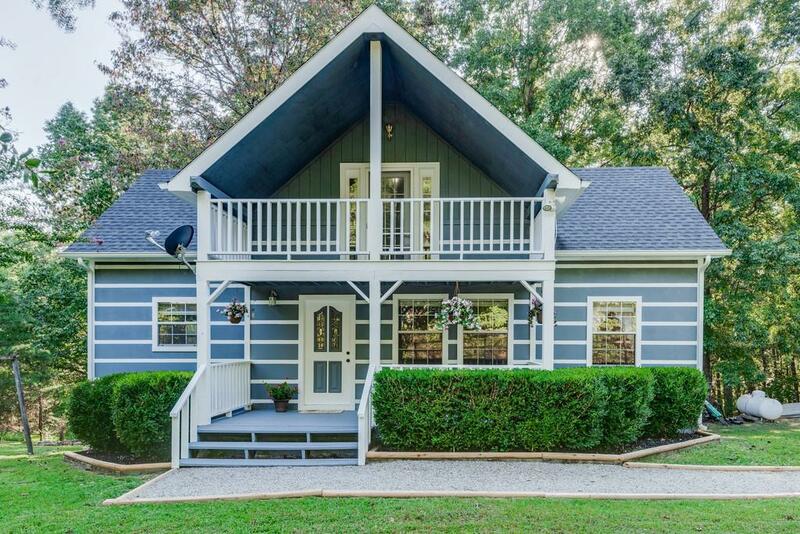 Gorgeous 1 .15 plus Acre, Wooded tranquil, beauty, privacy. Custom Log siding Home that is a stick Built Home with New Carpet, New Floors & Paint & New Gutters & Gutter Guards add a $2,500 Appliance allowance, Roof & Hvac 7-8 yrs, Double decks, Loft/br up stairs /wCloset Great Rm, 16 ft ceilings, Lg Master closet of 12 x 9, Approx. 8 miles- Bellevue & 20 miles- Nashville, Many Options 100 percent financing Available OR $14,000 Grant Money Available or Rehab loan all in One Loan! Turn Key !